Full of contradictions, Tokyo overwhelms with its herded crowds, retina searing, hyperactive neon, incessant noise and unusual scents. In Tokyo things are either rooted permanently into the culture or exist for a fleeting moment: pop groups have a shelf life of a fortnight while sumo traditions are conducted in the same place and way as they have been for centuries. Tokyo has the newest trends in everything, fashion, clubs, food - you can buy almost anything from 24 hour vending machines (which never seem to be out of order) and take naps any time of the day in your own capsule when you’re overwhelmed by all the karaoke, kabuki, temple visiting and space age shopping. Many of the best places to stay in Tokyo are within reach of all of these things! Tokyo is big and varied and where you stay will make quite a difference to any time you spend here. It’s useful to be close to a Yamanote Line station, or a subway station, but it’s nice to be able to walk as well. In the thick of everything the area around Tokyo Station is super convenient for travel, both within Tokyo and outside. We recommend one of the 4 Best Hotels near Tokyo Station. Close to the famous Tsukiji Fish Markets, Shiodome sits shiny and modern atop reclaimed marshlands overlooking the bay. 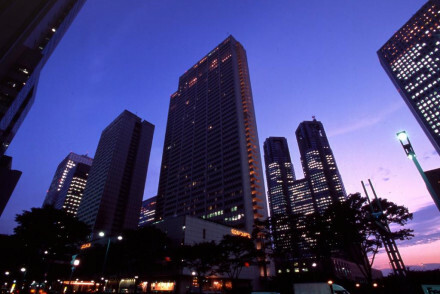 Consider staying in one of the Best Hotels in Shiodome. You’re close to Ginza and there’s a lot of development going on here in preparation for the 2020 Olympics. 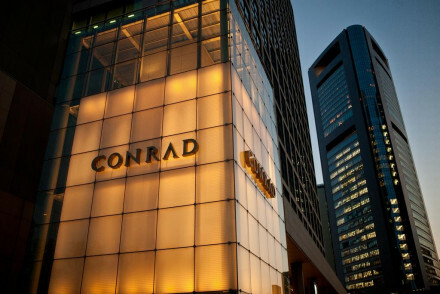 Here try one of the 3 Best Hotels in Ginza. Awake all hours, Shinjuku’s skyscrapers are central and very well located for restaurants and shopping. 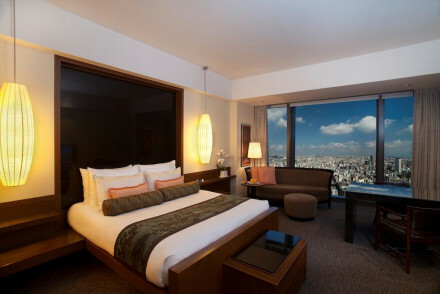 We have three favourites here too, the 3 Best Hotels in Shinjuku. The ‘real’ shopping district, Shibuya, also feels like it’s busy all day and night. Colourfully lit with neon, this is an area of busy streets and high-rise buildings. You’re close to Harajuku and some of the city’s most impressive temples. If this sounds like you here are our recommendations for the Best Hotels in Shibuya. It’s not a stuck record, but Roppongi is also well located for shopping - especially Tokyo Midtown and Roppongi Hills, the difference with Roppongi is that it’s cosmopolitan and arty as well. 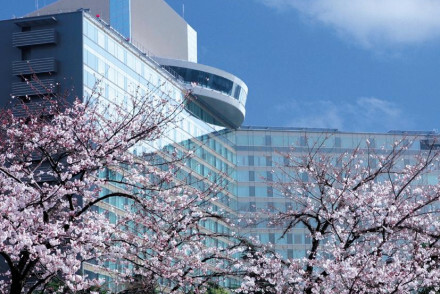 Here's our list of the Best Hotels in Roppongi. If you’re looking for somewhere a bit quieter and less skyscraper-y, you might like Nihonbashi? There are still shiny office buildings, but this is where the city of Tokyo really started, and the area is still full of generations old businesses doing charming, old fashioned sorts of business, like selling fabric, seaweed or fans. Here we recommend the Best Hotels in Nihonbashi. Of you could try East Tokyo, which is where you’ll find some of Tokyo’s most traditional neighbourhoods, winding streets, kimono stores, teashops and some of the city’s oldest temples. If this sounds like the right neighbourhood for you consider staying in one of the 3 Best Hotels in East Tokyo. You wouldn’t think a fish market would top so many lists of the best things to do in a city, but Tsukiji is right up there as far as places go. It’s dynamic, exciting and smells and tastes and sounds like the fantastic, traditional commercial hub that it is. And, just as the guides recommend, it is best to get there as early as you can. 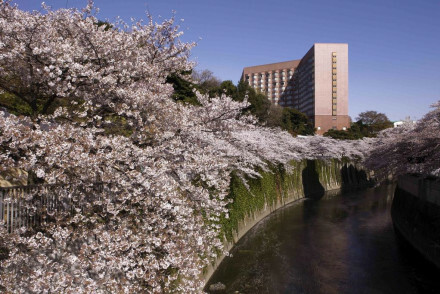 The gardens of the Imperial Palace certainly call you to them, located as they are in the centre of town. Close to the military museum, the science museum and the Yasukuni-jinja, which is a monument to Japan’s war dead. Then there are Tokyo’s temples, ranging from the grand and golden to humble wooden structures which are no less incredible for their age and the peace and tranquility of their grounds. Sens?-ji which is Buddhist and Meiji-jing? which is Shinto are Tokyo’s most visited temples, but the wonderful thing about Tokyo is that you’ll discover temples and shrines in amongst the skyscrapers - havens of historic peace. Then there are the gardens. Tokyo has numerous elegant, historic gardens, some established during the 16th and 17th centuries and still in much the same layout. The Edo-Tokyo Museum is a great place to get to grips with the city’s history. Shibuya, Ginza and Harajuku are where to come to see the city at its most youthful - and where to do your shopping. See the view from Tokyo Tower, the World Trade Centre building or the Tokyo Metropolitan Government building - which is free. Yoyogi Park is a great place to see modern Japan at its most lively, but of course Tokyo is a fantastic, colourful, neon hub in the evening. Try an onsen (hot spring bathing) at a local sento, or public bath. See the blossoms, or a sumo match - depending on when you visit. Visit the markets, take a boat ride, join in with a tea ceremony or try a martial art. The Tokyo Station Hotel offers fantastic East meets West style within Tokyo’s main station. Dating from around 1915, this hotel feel quite opulently European with antiques, chandeliers and large sash windows. There are 150 rooms plus a choice of buzzy bars and restaurants. 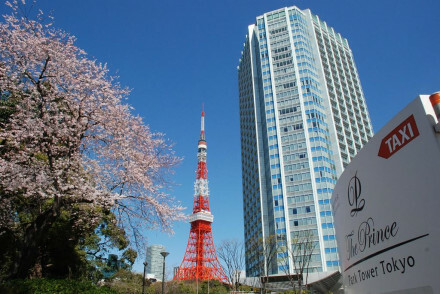 The Four Seasons Marunouchi Tokyo is a sophisticated five star hotel with just 57 rooms. The location is perfect, as are the views and the French restaurant. 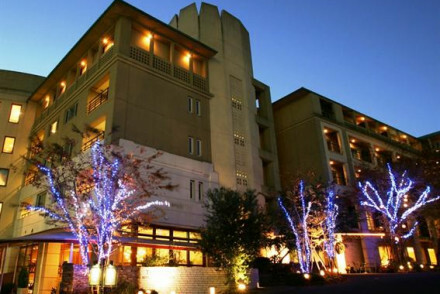 The Gate Hotel Kaminarimon is a sophisticated contemporary hotel in a great location with 137 rooms and fabulous views. There’s a hip cocktail bar and a slick French fusion restaurant too. The Andon Ryokan is a traditional guesthouse in a quiet neighbourhood with 24 simple rooms with roll down futons and large windows. There’s a more contemporary lounge. If you’re looking for good value this is one of the best locations in town. Rooms start from around £70 per night. The Hotel Chinzanso is an elegant, luxurious hotel set in its own beautifully manicured Japanese garden. There are 260 European-feeling rooms - think chintzy fabrics, European antiques and chandeliers - and the proportions are huge by Tokyo’s standards. Tranquil. 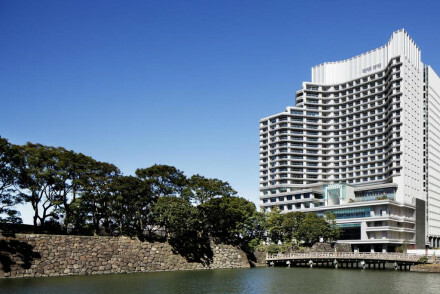 The Keio Plaza Hotel is a sleek, urban affair with 1400+ rooms. That extra zero isn’t a mistake. You’re in the heart of the skyscraper district and have access to some incredible facilities, including a rooftop pool, karaoke rooms and an incredible array of restaurants. The decor is minimalist. The Agnes Hotel and Apartments is small - it has just 56 rooms - and smart, in a quiet but well positioned neighbourhood. The decor is crisp with large windows and large bathrooms - by Tokyo standards. The Shibuya Granbell Hotel has a range of rooms in different sizes, all with contemporary decor and pops of colour. There are 52 rooms and the rate starts from around £120 per night. Drinks and pizzas are served into the wee hours. The Shangri-La Hotel is another impressively luxurious hotel with spectacular views and contemporary rooms with floor-to-ceiling windows. There are 363 rooms and the facilities to match. 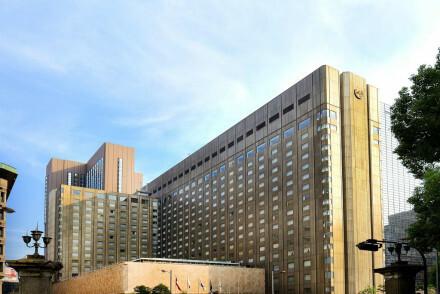 The Keio Plaza Hotel in Shinjuku is a sleek, urban affair with 1400+ rooms. That extra zero isn’t a mistake. You’re in the heart of the skyscraper district and have access to some incredible facilities, including a rooftop pool, karaoke rooms and an incredible array of restaurants. The decor is minimalist. 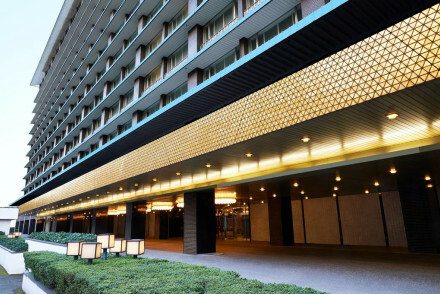 Close to Shimbashi Station, the Hotel Okura is smart and sleek and has 801 simply designed rooms - in decent proportions by Tokyo’s standards. There’s a 20metre pool and a huge choice when it comes to bars and restaurants. 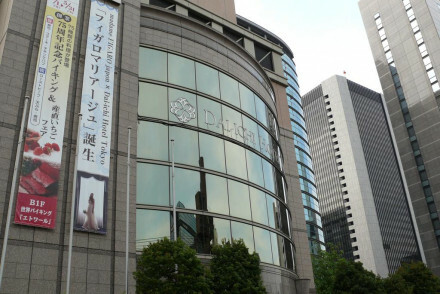 Close to Ginza, the Dai Ichi Hotel is a smart, Western style hotel with 278 rooms. The restaurant is Japanese and there’s an elegant lounge. Perfect location in the heart of everything. 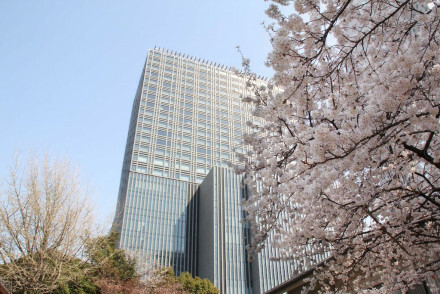 The Four Seasons Marunouchi Tokyo is a sophisticated, five star hotel with just 57 rooms. The location is perfect, as are the views and the French restaurant. The Gate Hotel Kaminarimon is a sophisticated, contemporary hotel in a great location with 137 rooms and fabulous views. There’s a hip cocktail bar and a slick French fusion restaurant too. 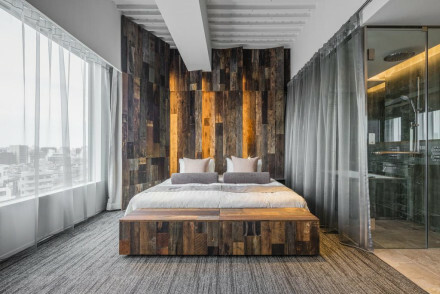 Claska is an uber-hip design hotel with just 20 rooms. It also has an art gallery and a superb European fusion restaurant. The minimalist feel is very Japanese zen. In a fantastic location on the edge of the Imperial Palace Gardens, the views from The Capitol Hotel Tokyo stretch all the way to Mt. Fuji. The rooms are classical but minimalist and there’s a well regarded restaurant and excellent spa. For views of the city consider the Andaz, with seven floors of floor-to-ceiling windows right by Shimbashi Station. As well as the views, the 164 rooms offer luxurious bathrooms, minimalist style and service which spoils you. 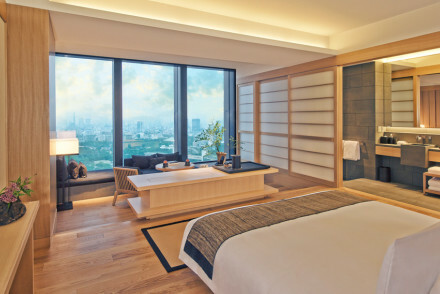 Aman Tokyo offers the luxury of the Man chain in a central location. There are 82 rooms, decorated in a chic, minimalist style, plus what some people consider to be Tokyo’s best Italian restaurant. 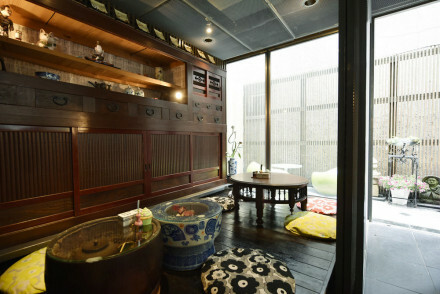 For something a bit different consider Hoshinoya, Tokyo’s first five star ryokan. There are 84 rooms spread over 17 floors, which each function as an independent guesthouse with their own onsets and cuisine. Very centrally located but peaceful. The Hotel New Otani is a shining, contemporary towner surround by manicured gardens - including a fantastic waterfall. There are just 62 rooms, some of them extremely luxurious, some good value. The decor is sleek. For something more modern at a very reasonable price try the Wired Hotel in Taito. There’s a good range of accommodation from dormitories to luxurious penthouses and family rooms and it’s smart and modern. There’s a good Japanese restaurant and you’re close to the Nakamise Market. Rooms start from just under £100 per night. If you’d prefer to stay in an apartment or private flat we recommend you visit our online partner booking.com. Narita and Haneda are Tokyo’s two international airports, Narita being the larger of the two. From there it’s easy to catch the Narita Express Train, which connects to all the major Tokyo stations. Haneda is closer to the city itself. Tokyo enjoys fairly temperate weather so there’s not really a bad time to go. Obviously blossom season in spring is spectacular, but autumn is very pleasant too. Summers are quite hot and humid. 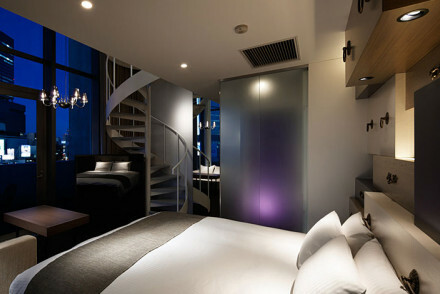 Wired Hotel is located in Tokyo's Taito district, a short distance from the city's main sights. The property features dark, muted tones and smart interiors as well as a range of accommodation (luxurious penthouses, family rooms and dormitories). Japanese cuisine served. A splendid all-round stay. 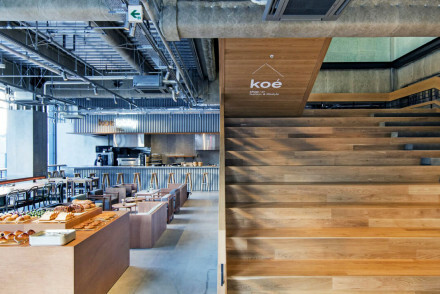 A bold venture designed by famed architect Kengo Kuma, in downtown Oshiage, east Tokyo. The crisscross wooden exterior sets the tone for the industrial conversion plywood and concrete layout of the interiors. The rooms range from comfortable to luxurious and the rooftop offers unbeatable city views. A vibrant hotel in the heart of Tokyo. Rooms come in a variety of sizes and styles to fit all budgets. Design is contemporary with light hearted touches coming from pops of colour and oversized chandeliers. Pizzas and drinks are served until the early hours. A lively property. Value chic - A hip hotel in a lively district offered at very reasonable rates. Sights nearby - Walking distance from the famous Shibuya Scramble crossing and 109 Building. Local markets - Spend a morning at the bustling Tsukiji Market (fish market). A smart, well oiled, property boasting excellent city connections. Find a combination of traditional Japanese design mixed with contemporary style. An excellent French restaurant boasts a superb wine-list and leafy surrounds give a tranquil feel. Ideal for both business and leisure. Local exploring - Find many of the city's main attractions within easy access and a number of stations are a short walk from the property. Great walks - Take a stroll through the 17th century Japanese Koishikawa Kōrakuen Garden. Sights nearby - Marvel at the impressive Imperial Palace. Japan’s first skyscraper hotel by Tokyo’s busy Shinjuku station attracts guests wanting a taste of Japanese culture. Choose the Premier Grand rooms on the upper floors for top-notch luxury with stunning views. A spectacular array of restaurants and rooftop pool makes this a tough one to beat. City Style - A sleek contemporary hotel located in Shinjuku’s Skyscraper District. Great walks - Take a stroll around the nearby Shinjuku Gyoen National Garden. Sights nearby - Make a trip to the historic Meiji Jingu Shrine. A sophisticated hotel in the atmospheric eastern Asakusa district. 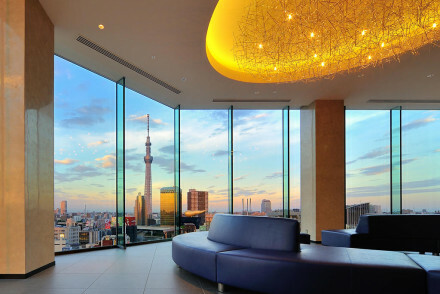 Contemporary rooms boast fabulous views of either Sensoji or Tokyo Skytree. A slick French fusion restaurant, hip cocktail bar and excellent price tag make this hard to beat. Local exploring - Well located to access some of the city's top attractions. Value chic - A sleek hotel boasting a suprisingly good price tag. Sights nearby - Situated just opposite the Thunder Gate entrance to the city’s oldest temple complex, Sensoji. 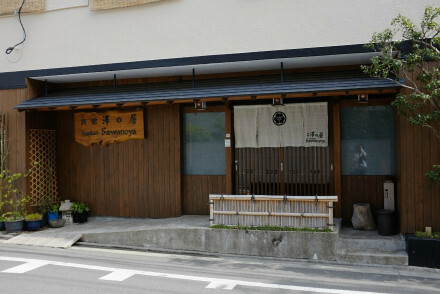 Cooking classes - Take a cooking course at the nearby Tokyo Kitchen. A smart small hotel in a peaceful neighbourhood. 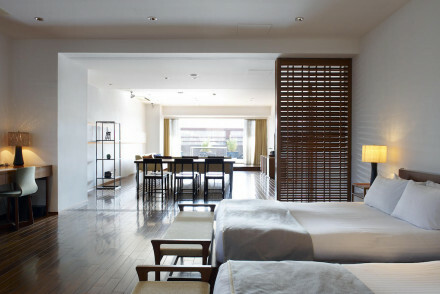 Simply dressed rooms feature crisp white linen, floor to ceiling windows and large bathrooms (by Tokyo standards). An elegant restaurant serves up French cuisine using only in-season produce. Arrangements for long stay are available. Very chic. Local exploring - A small hotel located in a quiet neighbourhood with good connections to the city. Sights nearby - Make a trip to the impressive Tokyo Imperial Palace. Local markets - Wake early and visit the famed Tsukiji fish market. For what this property lacks in locality it more than makes up in style. 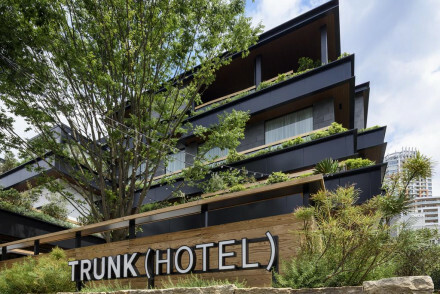 An uber hip design hotel comprising of just twenty rooms. Japanese contemporary style throughout creates an air of zen. Completed with a superb European fusion restaurant and a number of art galleries. Very chic. City Style - One of Tokyo's finest design hotels. 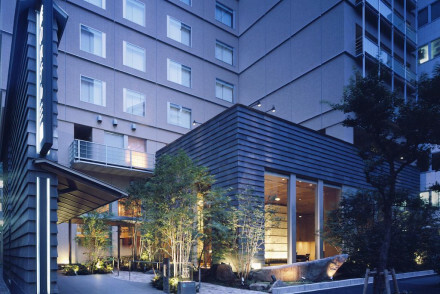 A contemporary hotel situated in a manicured garden in central Tokyo. Smart rooms feature floor to ceiling windows opening onto spectacular views, hard wood floors and large works of modern art. Complete with a bowling alley, spoiling spa and an impossible number of restaurants. Fabulous. Local exploring - Set in the heart of Tokyo with many of the city's main attractions within easy reach. Local markets - Rise early and visit the iconic Tsukiji fish market. Sights nearby - Make a trip to the impressive Imperial Palace. A shining contemporary tower surrounded by manicured gardens, candy-floss pink blossom trees and a rather impressive waterfall. Interiors make the most of these picturesque surrounds with superb views from the many windows. Pick the Executive House Zen rooms for some serious luxury. Families - The garden provides the ideal space for little ones to let off steam. City Style - A sleek urban property set in gorgeous manicured gardens. Sights nearby - Visit the Imperial Palace the long held residence of the royal family in Japan. Great walks - Take a stroll through the hotel's picturesque gardens. An elegant luxury property set in beautifully manicured Japanese gardens. Rooms have an air of European style with heavy antique furniture, chandeliers and chintz fabrics. The proportions are enormous (by Tokyo standards) and the views impressive. A tranquil haven within a bustling city. Total relaxation - A luxury property set in tranquil Japanese gardens. The perfect city respite. Local markets - Rise early and visit the bustling Tsukiji fish market. Sleek and smart, a large hotel with a superb location. Rooms are simply designed with soft hues, crisp white linen, large contemporary bathrooms and, for Tokyo, well proportioned. Boasting a wide range of restaurants and bars plus a 20m indoor pool. An ideal base for both travel and business. Local exploring - A smart hotel boasting a central location with many of the city's main attractions nearby. Great walks - Take a stroll around the picturesque Hama-Rikyu Garden. Sights nearby - Located just 2km from the impressive Imperial Palace. Tokyo's first truly hip boutique hotel, perfectly placed in the trendsetting Shibuya district. The emphasis here is on reuse and recycle- almost everything has had a previous life before it was lovingly coaxed into the hotel. Chic rooms, fantastic food, an outrageously fun bar and an inspired ethos. A smart property well situated in the trendy Ginza area. Western styled rooms are light and airy with soft hues, sink into beds and luxurious bathrooms. Traditional Japanese cuisine is served in the restaurant and an elegant lounge is the perfect spot for an evening cocktail. The ideal city base. Local exploring - Well situated near the popular Ginza area and with excellent transport links nearby. Great walks - Take a stroll through the Hamarikyu Gardens, laid out in the traditional Edo style. Sights nearby - Walking distance from the impressive Imperial Palace. 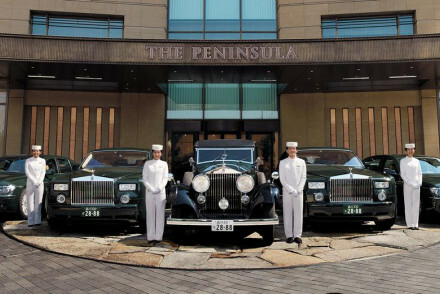 Tokyo's most historic hotel boasting exemplary service and opulent surrounds. Rooms are well proportioned with floor to ceiling windows and luxury bathrooms. A choice selection of restaurants and bars and, naturally, a glorious spa. A spoiling stay. City Style - An opulent hotel boasting fantastic service and location. Great walks - Take a stroll through the beautifully manicured Hama-rikyu Gardens. Sights nearby - Be sure not to miss the impressive Imperial Palace. 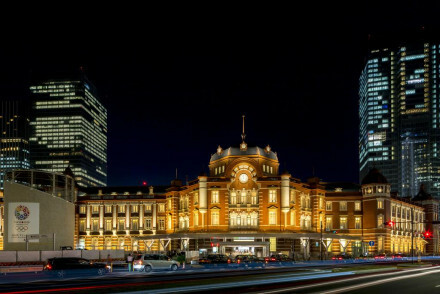 A grand hotel set within Tokyo's train station. With 1915s style and a real east meets west charm. Rooms are enormous and boast large sash windows, chandeliers and antique furniture. Housing a range of bars and restaurants this is an ideal choice for both business and travellers. City Style - A touch of old-school glamour in this ever modern city. Sights nearby - Visit the Imperial Palace, the grand home to the Emperor of Japan. Local markets - Rise early and visit the famed Tsukiji fish market. Stylish, nearing futuristic, both inside and out. This sleek property takes luxury to another level. Contemporary rooms with free standing bathtubs overlooking the Tokyo skyline. An award winning restaurant. Pitch perfect service and a superb spa. You'll be left wanting for nothing. Foodies - Dine in the superb Collage restaurant where French and Japanese cuisines collide. City Style - A sleek hotel complete with Michelin star restaurant and top-notch service. Sights nearby - Be sure to make a trip to the impressive Imperial Palace. Local markets - The bustling Tsukiji fish market is a must see. Contemporary Japan at its finest. Boasting an unbeatable location on the edge of the Imperial Palace gardens and with views of Mount Fiji. Classically styled rooms are minimalist, smart and (unsurprisingly) feature all the mod cons. Housing the well-renowned Suiren restaurant and a superb spa. Local exploring - A chic contemporary property located right by the Imperial Palace. Great walks - Take a relaxing stroll through the Imperial Gardens. Sights nearby - Just a short walk from the Imperial Palace. Chic, contemporary and boasting spectacular city views. 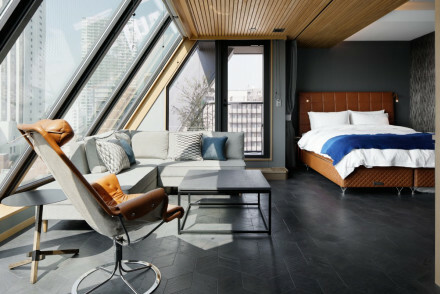 The rooms' design is dominated by the enormous expanse of floor to ceiling windows. The bathrooms are luxurious, the style minimalistic and you'll find all the mod-cons you'd expect from this calibre of hotel. A spoiling stay. City Style - A chic urban property occupying the top 7 floors of a sleek tower. Sights nearby - Wander through the Toranomon area and view the many historical shrines, temples and fortified bridges. A sophisticated five star hotel with a perfectly central city location. Rooms boast impressive views from the floor to ceiling windows. An elegant restaurant serves up fine French cuisine paired with an excellent wine list. Step outside into the upmarket Marunouchi area. A spoiling city base. City Style - A luxury five star property right in the heart of Tokyo. Local markets - Visit the vast Tsukiji fish market and sample some of the produce in the surrounding stalls. Great walks - Take a stroll through the tranquil Imperial Palace gardens. An iconic luxury hotel standing tall in an enviably central location. Rooms boast fabulous views (best enjoyed from the bathtub). A choice selection of restaurants, bars and a spoiling spa make it hardly necessary to step outside. However, once torn away find yourself in the swankiest of districts. City Style - A sleek luxury proprerty in the heart of the city. Great walks - The Imperial Palace Gardens are a tranquil haven within the bustling city. Sights nearby - Explore the impressive Imperial Palace. A unique and multifaceted hotel in bustling Shibuya. Run by Stripe International clothing company it houses an on site boutique spanning one whole floor. The rooms, though small (it is Tokyo after all) are stunning in an exquisite minimalist style that starkly contrasts with the bustle of the city. Hotel Entertainment - The lobby turns into a music venue, with a check in desk DJ booth- now that's entertainment! A luxury property boasting a fantastic location in the heart of Tokyo. Smart rooms mix Japanese design with contemporary style. The bathrooms are the height of luxury and the views phenomenal. With cuisine, service and a spa all on point this is a tough one to beat. 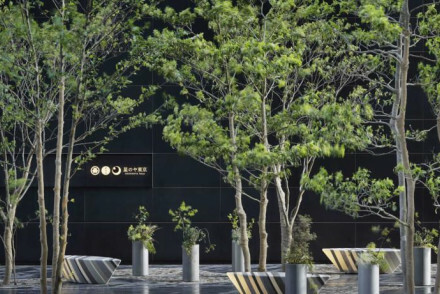 City Style - An uber luxury hotel in one of Tokyo's smartest neighbourhoods. Sights nearby - Make a trip to visit the impressive Imperial Palace. A sleek urban property located high above the city and boasting spectacular city views. Rooms are cool and contemporary with floor to ceiling windows, parquet flooring and modern Japanese furniture. Featuring a number of elegant restaurants, atmospheric bars and a spoiling spa. Superb. City Style - An uber sleek hotel complete with chic cocktail bar and glamorous restaurants. Spa breaks - A spa boasting extensive facilities alongside fabulous city views. Sights nearby - Visit the Fukutoku Jinja Shinto shrine, walking distance from the property. Park Hyatt is centrally located in Tokyo's Shinjuku district. This sleek contemporary spot offers smart, spacious accommodation featuring Hokkaido wood panelling and Egyptian cotton sheets. Unwind in the spa or marvel in the splendid views at The Peak Bar with a tipple. A first-class 5* city stay! Luxury defined at this central property boasting spectacular city views. Contemporary rooms feature enormous glass windows, pampering bathrooms and standardly have all the mod cons. Find a number of restaurants and bars, a spoiling spa and easy access to the city making this a fine choice. City Style - An uber luxury hotel with every amenity one could need. Great walks - Take a stroll around the picturesque Imperial Gardens. Sights nearby - Explore the nearby historic Nihonbashi area. The Aman chain certainly knows how to do luxury and this is no exception. Boasting an enviably central location and chic minimalist style. The spa is undeniably good and arguably Tokyo's finest Italian restaurant is housed within. Ideally suited for both business stays and travellers alike. City Style - An uber chic property defining what it is to be a luxury property. Spa breaks - The Aman properties are well known for their spas. Local markets - Wake up early and explore the lively Tsukiji Fish Market. 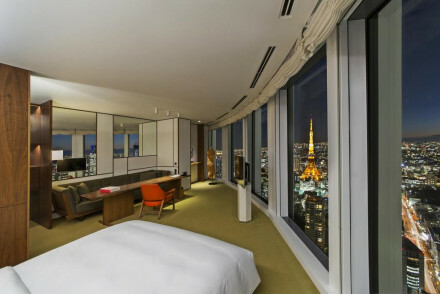 Tokyo's first 5 star ryokan filling the expanse of a 17 floor skyscraper with each floor functioning as an independent guesthouse. Find luxury to the max whether unwinding in the soothing onsens or feasting on the exemplary Japanese cuisine. Step outside into the heart of Tokyo. Superb. City Style - A luxury hotel with each floor acting as an exclusive domain accessible only by the guests staying there. Sailing - Travel down Tokyo's waterways and view the city as the people of ancient Edo once did. Sights nearby - Visit the Imperial Palace, the main residence of the emperor of Japan. Local markets - Be sure to make a trip to the bustling Tsukiji fish market.